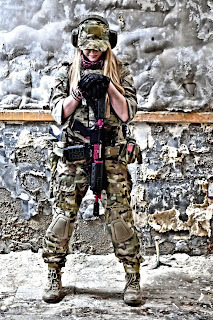 Today marks a year since Femme Fatale Airsoft went live! And apart from celebrating the blogs birthday and success, it marks a day that is special to me, personally. Many of you know the story behind FFA, for those of you who don't - this time last year I was involved in a car accident and was made redundant from my job as a Fashion Buyer/Merchandiser, now at the time I was absolutely gutted, for years I had dreamt about and trained for my career in the Fashion Industry and it was gone. I set up the blog to pour my time and energy into whilst I picked myself up and it turned out to be the best decision I have ever made. Becoming a Blogger has lead to the most amazing year of my life so far. From the people I have met, the places I've traveled to and the amazing experiences I've been lucky enough to be apart of, make me feel so blessed. Airsoft and the blog has opened up so many doors for me which I will always be grateful for. Looking back on the last year I can see not only a change in my lifestyle but a change in myself, I am a much more confident person with a new found purpose, determination and drive. I have pushed myself to my physical and mental limits during events to become a stronger, more resilient, tougher individual. Now for the facts, FFA has skyrocketed in its first year which I never in a million years imagined and it's all thanks to you: my lovely readers and followers. 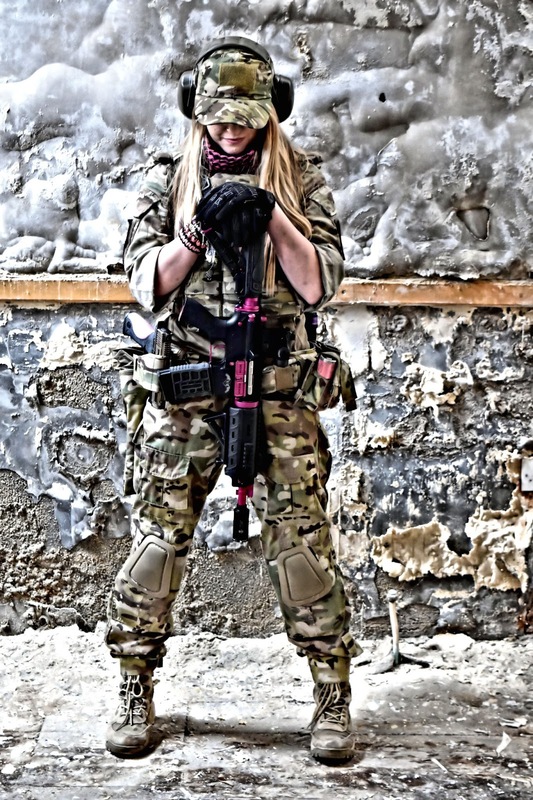 We are just shy of 25,000 website views which for a the first blog of its kind is amazing - FFA has become the most popular Female Airsoft Blog :D My Instagram account is just shy of 8,000 followers, making it the most popular outside of the United States which is awesome and I couldn't of done it without your support! 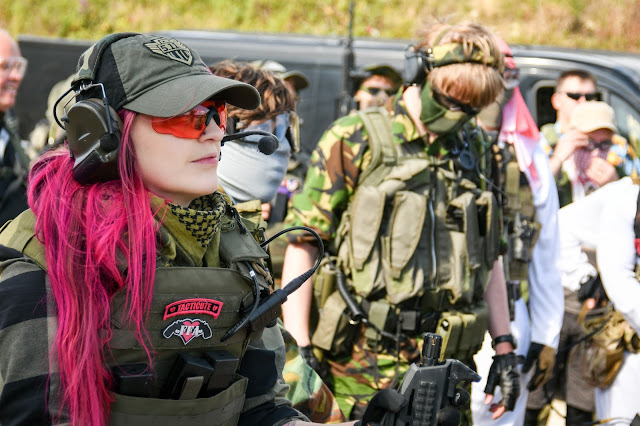 :) I have become heavily involved in the International Airsoft Scene by becoming an Admin to the United Kingdom Airsoft Community and the European representative for Women of Airsoft. 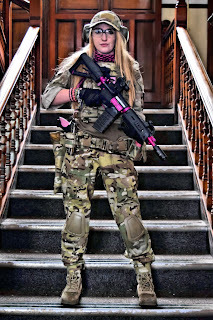 The blogs success has also lead to me becoming the only female contributor to a UK Airsoft publication - Airsoft Action. 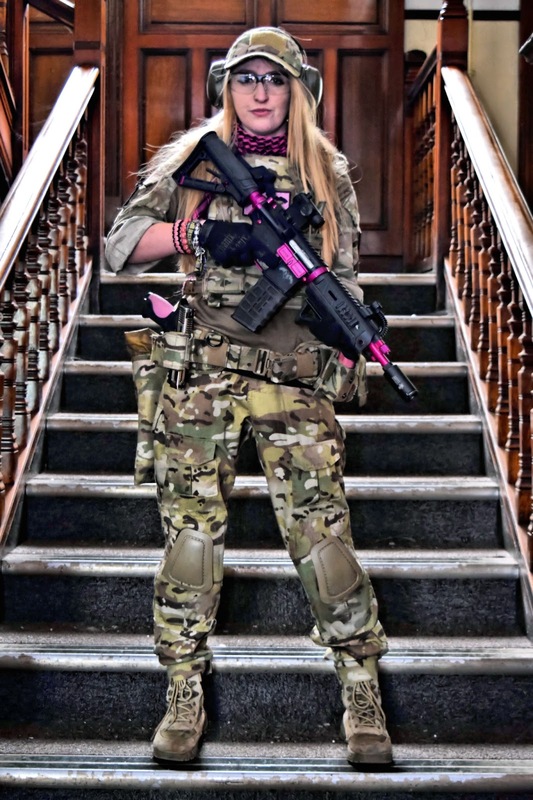 These achievements are all massive steps for women in our sport, especially in the UK Airsoft Industry as it means the industry is moving forward with us! I plan on pushing forward with this, continuing to make a positive contribution to the industry, creating more great content for you all and continuing to support and encourage women who want to get involved in the sport! With all the good however, inevitably comes the bad and over the last year I have learnt a lot about people both close to me and acquaintances in the industry. I have learnt that not everyone wants you to succeed and that there are a lot of people I cannot trust. From hate/smear campaigns to utterly ludicrous rumors being spread, I have unfortunately experienced it. There are positives that have come from this though - I have developed a thick skin and I know who has my back!